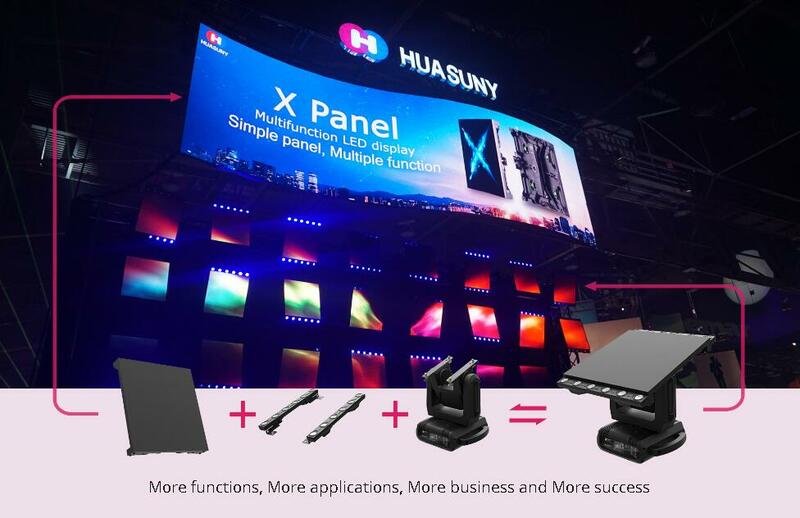 With the increasing demand on LED display applications, HUASUNY invented the resolutionary X multifunction LED display systems, including X Panel, X RoverPro, and X RoverPlus. 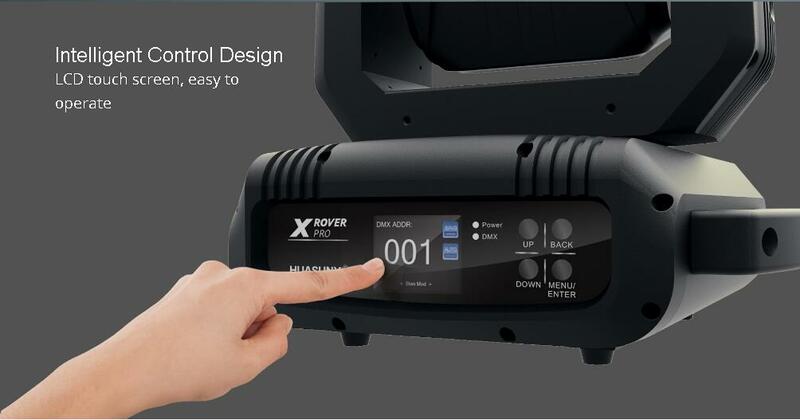 Since X multifunction LED system was borned, LED display industry 2.0 is coming. 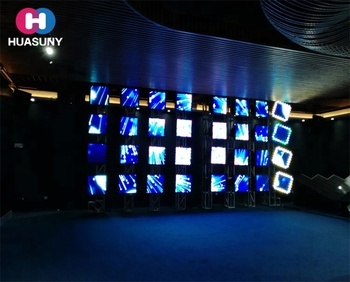 It is not only high definition LED display, but also great integration of video, lighting and movement. 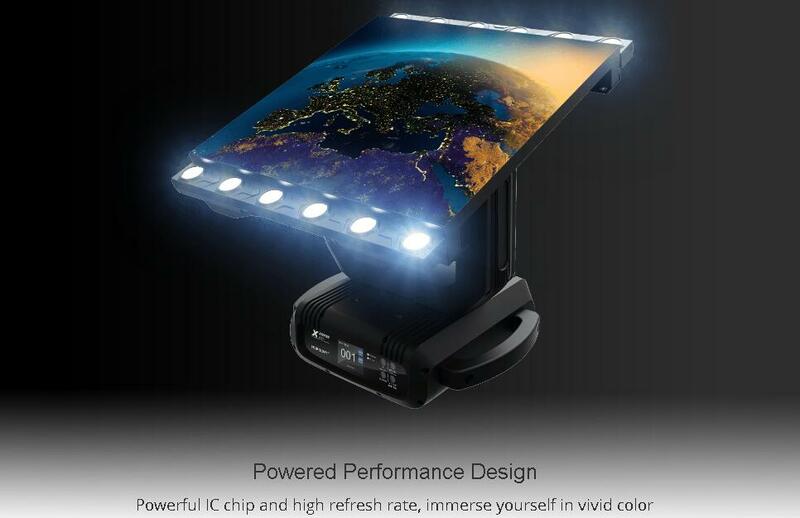 From now on, X LED display is not only LED display any more. 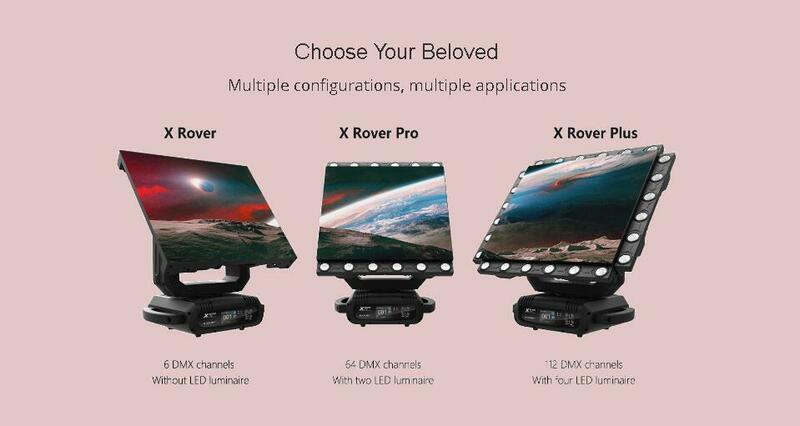 l 3 in 1 multi-function with video, lighting and movement, meets the requirements of video and light application, X RoverPro makes you a visual artist from a video expert. It can help you to expand the business for both areas. 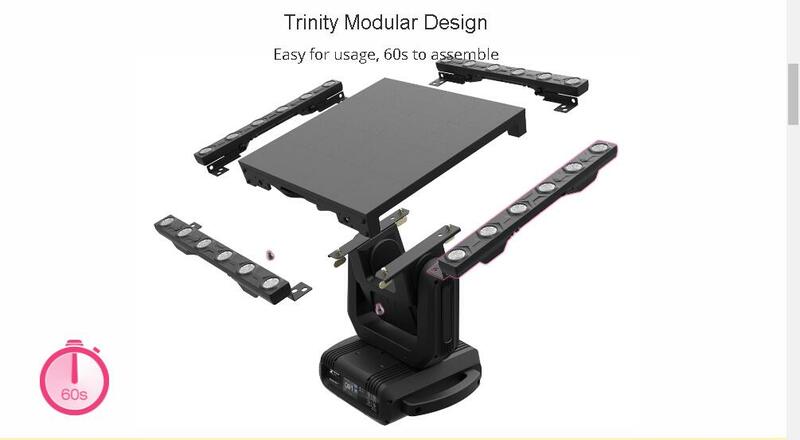 l The LED panels and lighting on the same surface.You can remove the X Panel from the movement base quickly and also install it on base with only 4 pcs Omega 1/4 to lock, very fast.You can choose more resolutions for XRoverPro, we have P2.9, P3.9, P4.8 and P5.9 for your option. 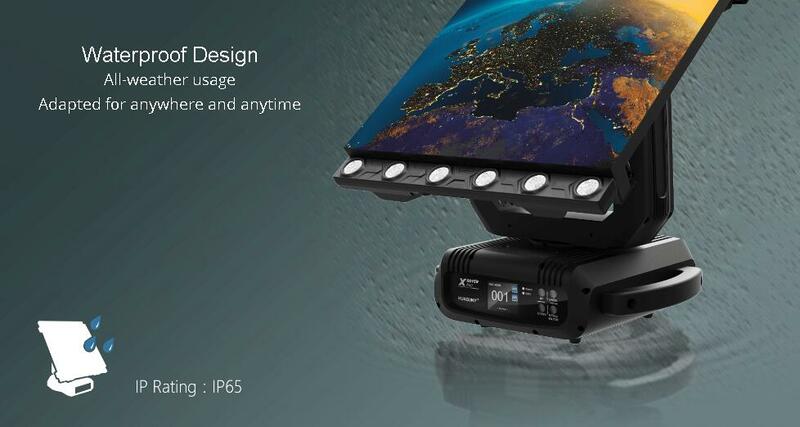 l The whole movement base is waterproof IP65, meets your outdoor and indoor application. 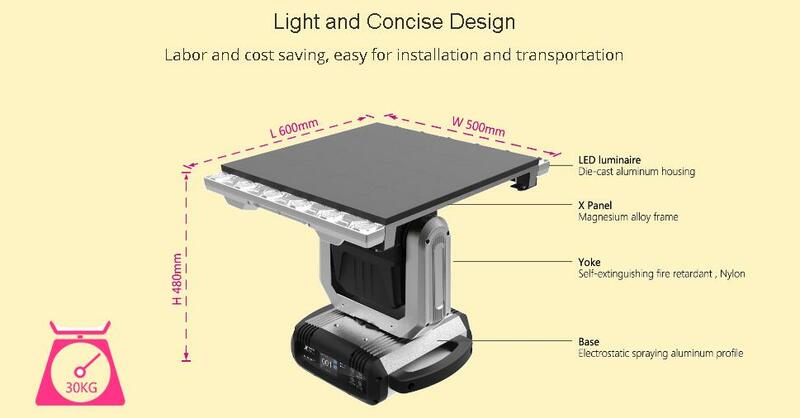 l The LED spot is Cree brand, has 50000 hours lifetime. 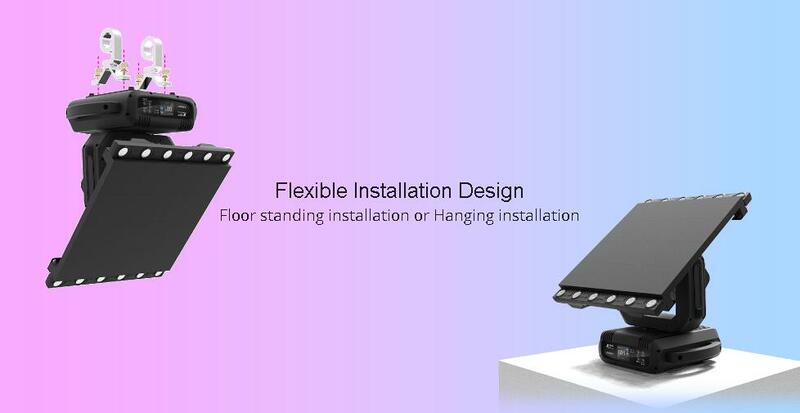 Its body is die-cast Aluminium, IP65,it has sophisticated 4 colors RGBW mixed uniform light beam with no colour shadows, the white color is pure, and rich saturated and pastel colour-hues. l The stepper motor is Moons’ brand, the best one in China. 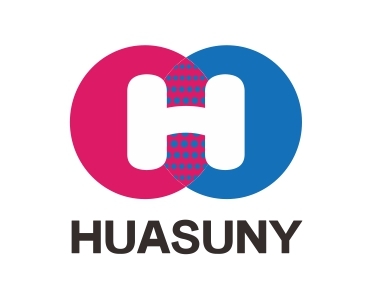 Foshan Huasun Technology Co., Ltd.